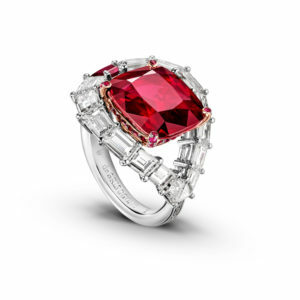 This is the story of an exceptional jeweller who decided to unleash his passion and creativity by designing daring and strikingly gorgeous jewelry creations. 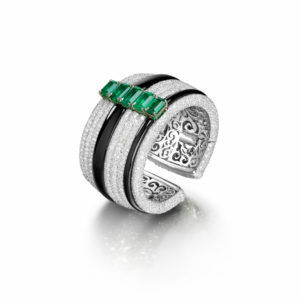 de GRISOGONO was founded in 1993, by Fawaz Gruosi and two partners. 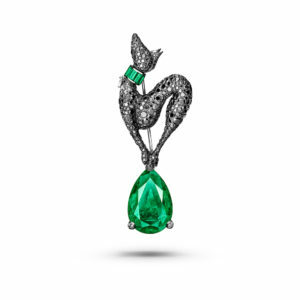 Previously, Gruosi, who had grown up in Florence, had worked his way to the very top echelons of the fine jewellery world, and had decided to branch out on his own He loved and understood the jewellery world, so rich in tradition, yet bound by conventions, so often out of step with a fast-changing world. From the start, Gruosi explains, he took huge risks, embarking on a capital-intensive business on a shoe-string. 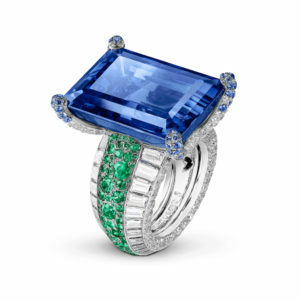 What he did have, however, was a single-minded, driven passion for jewels and gemstones, an affinity for design, and a total dedication to perfection and innovation. 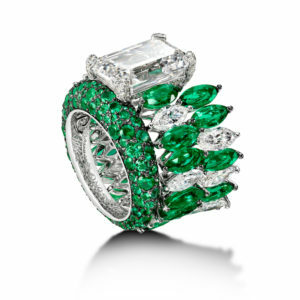 He realized that jewellery is an exciting, relevant part of women’s lives and recognized the potential. He saw too the creative possibilities of the gemstones that so captivated him, even, or especially those that had been neglected, or disregarded through rigid rules and classifications. The first challenge for the new business was to find a name. He and his partners, he explains, were searching for the right name in Italian. 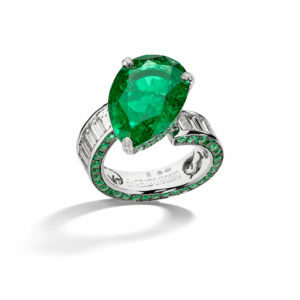 ”Then one of my partners mentioned his mother had originally been the Marquise de GRISOGONO. It sounded powerful, mysterious and aristocratic, perfect for the luxury and exclusivity we were planning. 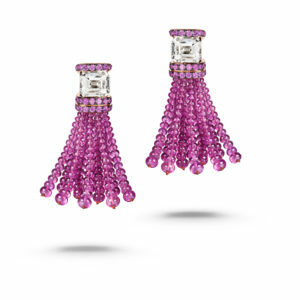 Our first commission was a pair of earrings created for the Begun Salimah Aga Khan. The pearls and diamonds perfectly suited her face, and our name.” This first creation was also the perfect introduction to the world of international celebrities, of glamour that was to shape the identity and help fuel the success of the young jewellery house. 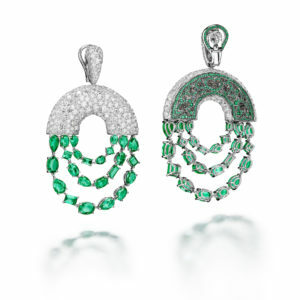 The tone was set when the first de GRISOGONO boutique opened in Geneva in 1993, alongside Sophia Loren. Twenty-five years later, the energy infused into each piece of jewellery remains as vibrant as ever and each of his creations bears the distinctive signature that makes GRISOGONO so incomparable. They are unique, surprising. 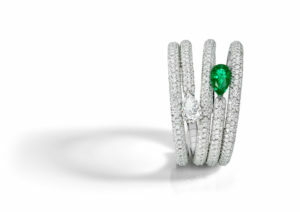 Each of them preciously embodies everything that sets de GRISOGONO apart. 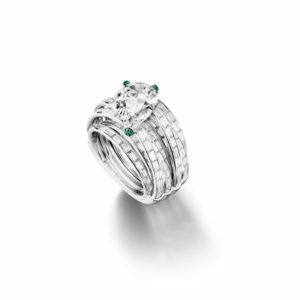 To celebrate the 25 year milestone, de Grisogono creates 25 eye-catching high jewellery creations that vividly convey – through their volumes, colours, contrasts and movements – the secrets of 25 years characterised by audacity, creativity and a flair for the exceptional. 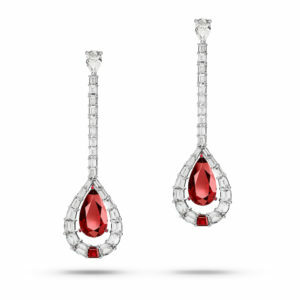 Born of Fawaz Lugosi’s imagination, they represent what no one else could have imagined. 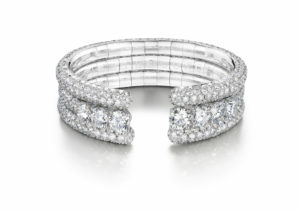 Edgy materials, unexpected stones, complex structures, mesmerizing aesthetics, they are new twists on the great classics. 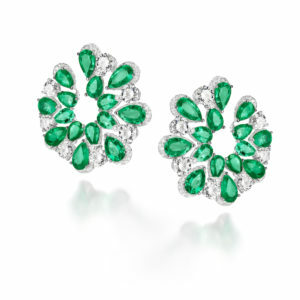 They convey the de Grisogono spirit!